Early this morning Whittier-area great Nomar Garciaparra signed a one-day contract with the Boston Red Sox in order to retire with the club he loved. Now I pose two questions. 1.) Is Garciaparra worthy of the Hall of Fame? 2.) Is Garciaparra the greatest Whittier-area athlete of all-time? There are definitely a lot of greats like Montebello’s Jack Kramer (tennis great) and/or Bobby Knoop (Angels), Whittier’s Bob Chandler (Buffalo Bills/Oakland Raiders), La Serna’s Dave Dalby (Oakland/Los Angeles Raiders), El Rancho’s Rich Camarillo (Rams/Raiders) and/or Mickey Klutts (New York Yankees), La Mirada’s Jenny Finch (Team USA softball), Santa Fe’s Mark Kotsay (Florida Marlins) and/or Todd Burns (Oakland A’s), and Biola’s Todd Worrell (St. Louis Cardinals). sorry to say Garciaparra’s numbers do not reflect HOF material. Though one of the best shortstops of our time. 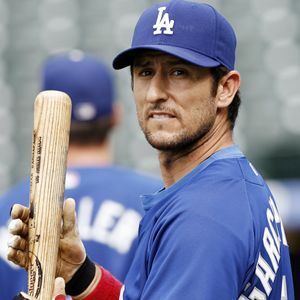 Nomar gets my vote as an athlete and for being a class act. A great student at Bosco and as a schoolboy he could probably been a D1 player in commie kickball had he not pursued BB. A humble man for all of his many awards, he lost a lot after suffering a string of injuries yet still put together a nice highlight reel in Dodger Blue. Getting old is no fun. Bob Chandler has to be #2. Great roundball player with amazing hops for a white guy, he held the Whittier HS High Jump record for years. Im pretty sure he was all CIF in hoops and Basketball. What I always admired about Nomar was his lunch pail work ethic, his making the most of his abilities, of his grinding it out through and back from injuries, his being a total gamer, and his being a consistent winner. He was old school, and in a Whittier area kind of way. Anybody from the Whittier area between 40 and 60 years old knows guys like Nomar. HOF material? Not quite, but worth mentioning, at least. But one helluva a career, best ever by an area guy? No doubt. Thanks, Nomar, for showing how it is done, with humility and class to the end. Nice post, Don. Bob was an NFL receiver (OJ’s teammate, I believe) and all around athlete as you note. I’m a Cardinal, and we all knew about Bob Chandler. Good call. Watched Nomar play baseball at the age of 12 at Whittier Rec Baseball. He starred in high school, college and professional ranks. Hope to run into him and Mia (wife) someday in town and shake his hand again (met him at the Boy’s and Girl’s Club of Whittier. Have a great life, Nomar. who will ever forget carne asada with nomar at dodgers stadium. Didn’t rush our conversation about soccer. Class act.